use the scale of tensile strength (Rm) for determining the tensile strength of carbon steel products pearlitic by automatically converting from Brinell (HB) hardness scale. Device implements 2 methods of testing: rebound (Leeb) and ultrasonic contact impedance (UCI). 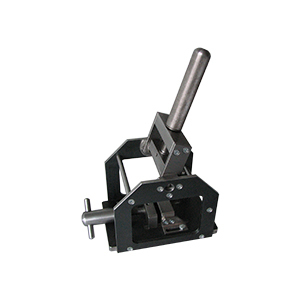 The combination of both methods allows user to test all range of metal products. 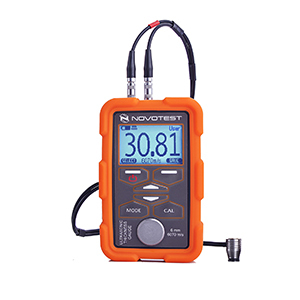 This method is very fast and easy: place the probe on tested object vertically to the object surface, push the probe to charge the spring, press the button on the top of the probe to make measurement and save the hardness value, shown on the display. 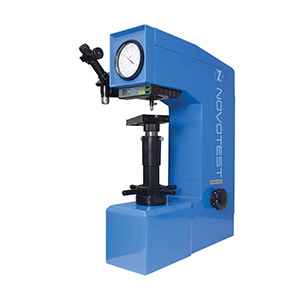 For the Leeb measuring method, NOVOTEST-UD2 automatically calculates hardness for a wide range of materials, like steel, stainless steel, cast iron, bronze, aluminum. 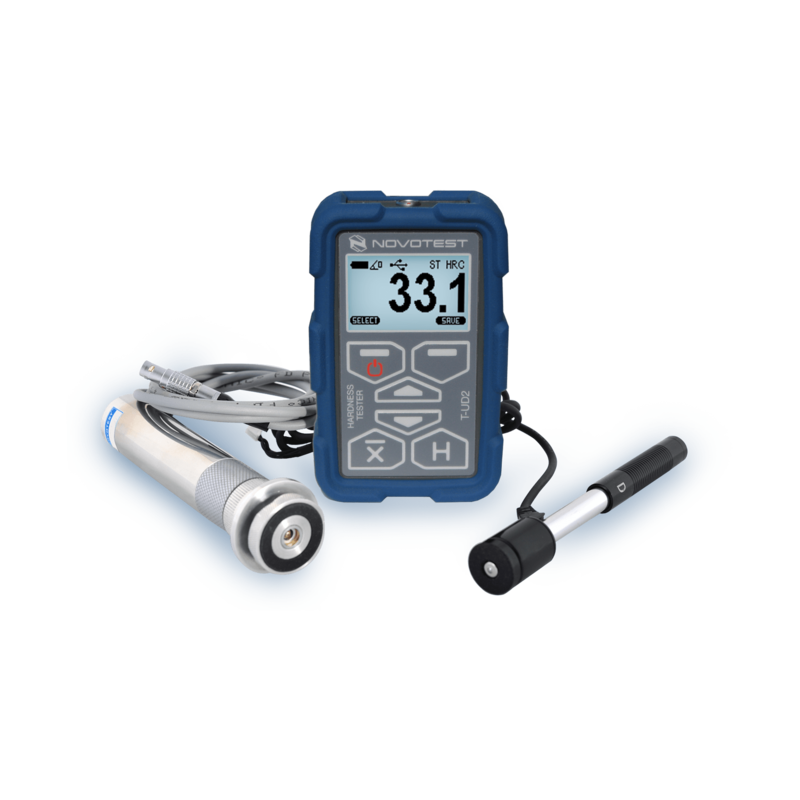 Leeb probe – pre-calibrated for steel, alloy steel, stainless steel, aluminum.